Ideas are like seeds. Plant, water, and nurture them and they will grow. Add elements like belief, passion and purpose and a small seed of an idea can grow into an amazing business. What ideas do you have that have yet to be planted? The seeds of your ideas will not do any good if they remain in your pocket, deep inside a notebook or locked in your brain. Here’s the issue, you think you have plenty of time and you say you will get to it later, when you have more time. In reality, you don’t enough time. Get started on a new project today, let your ideas run free and work hard to make it your new reality. Tell someone about your plans. They might get excited with you, but more importantly, telling someone makes you accountable. Try to determine what fuels your passion. Without passion you will give up when you get tired. Without fertile soil, your seeds (ideas) won’t grow exactly as you plan and you will give up. And without a consistent schedule to follow, you won’t follow through, and you will get sidetracked and distracted easily. If you believe in yourself and your idea, you will be able to put everything aside temporarily, and focus on growing your idea. Michael Dell, had $1,000 in his pocket and an idea of starting a computer company based on selling computers directly to people with no middleman and providing great customer support. The business had revenues of over $50 billion in 2013. Three friends with passion and purpose and a love of coffee and community each put up $1350 and borrowed another $5,000 and went to work selling coffee at a single shop in downtown Seattle. Howard Shultz took over with even more passion and a different business model in the 1980’s. Starbucks revenue last year was over $14 billion. When venture capitalists were later interviewed about a conversation they had with Shultz they said they really didn’t believe in the idea as much as they believed in the passion and conviction Shultz had when discussing his coffee shop model. Scented candles may not be your thing, but the Yankee Candle Company was started in a garage by 16 year old Michael Kittredge, who was melting down crayons to make a candle as a gift for his mom. Neighbors heard what he did and started to place orders with Kittredge. A few years later he moved out of the garage and into a small manufacturing facility. Last year Yankee Candle did over $800 million in revenue. And don’t think that you have to be young, smart, with lots of free time or have good connections to get started building a business, Carol Gardner started Zelda Wisdom, a greeting card company, with a picture of her English bulldog and a funny line. Her company has done over $50 million in sales of greeting cards. Before starting the business, Carol was divorced, broke and 52 years old, hardly the poster child for a profitable start-up business owner. Don’t dare come down with a case of “excusitis.” You will never have enough time to spare, enough money to invest, enough hours in the day and enough smarts to know everything. None of that matters if you a healthy dose of passion, enthusiasm and drive to get it done. 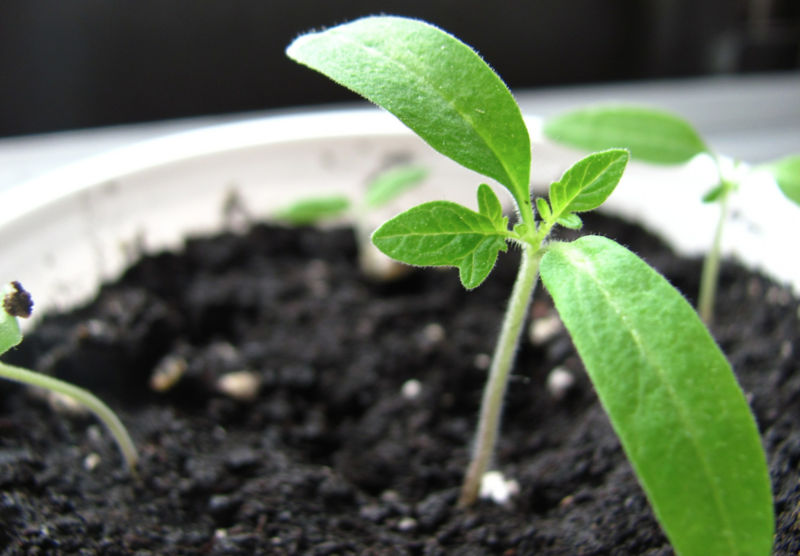 Step one, sow your seeds, the crucial phase in growing your ideas sky high. Looking forward to the day I am writing about your successes that all started out as a simple idea and a seed. Want to hear more about some of the cool things I've been up to? Check out a sample of our podcast below. If you want to hear more episodes, free of charge, head over to iTunes and search the store for The Nice Guys on Business Podcast. If you are interested in reading my book Nice Guys Finish First click the title link.